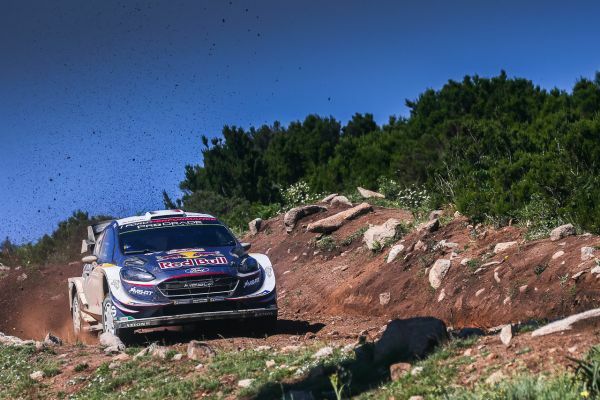 M-Sport Ford World Rally Team’s Sébastien Ogier and Julien Ingrassia continue to lead Rally Italia Sardegna, but an epic battle awaits – their EcoBoost-powered Ford Fiesta WRC holding a slender 3.9 second advantage with 42.04 kilometres remaining through the final day of competition. “It’s been another incredible day and we’re in for a thrilling finale tomorrow. Of course we would have liked the gap to have been a little bit bigger, but it’s fantastic for the sport and I’m sure everyone will be tuning in to see how this one unfolds. “Sébastien lost some time through the last stage this morning [SS12], but he had a puncture in there last year and was probably a bit overly cautious. He picked up the pace this afternoon and it really was incredible to see him and Thierry both pushing to the maximum and trading times by the smallest of margins. Sébastien Ogier and Julien Ingrassia have the advantage as an epic final-day showdown awaits tomorrow’s closing stages. Outperforming everyone with a stunning performance through the demanding conditions that blighted yesterday’s competition, the Frenchmen started the day with a 18.9 second lead – which increased to 19.5 seconds when they piloted their Fiesta to the fastest time through the first pass of Monti di Ala’(SS11). But when the World Champions misjudged their rhythm through the first pass of the challenging Monte Lerno stage (SS12), it was reduced to just 4.9 seconds. 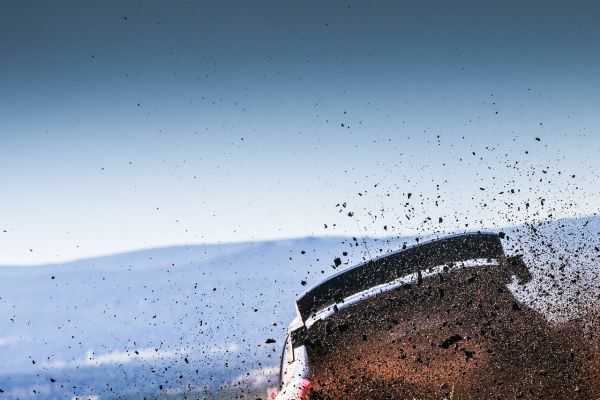 As Ogier and Ingrassia bounced back, a cat and mouse fight continued throughout the afternoon – Ogier and main-rival Neuville trading times by the smallest of margins. At the end of the day, it was Ogier who maintained the advantage – 3.9 seconds clear of his rival which sets the scene for one of the championship’s most anticipated final-day battles. “Generally, I think it’s been a good day and it’s been really enjoyable driving these stages – there was just one that didn’t go to plan. I don’t know why, but on SS12 I didn’t have the rhythm and it’s actually in that one stage where we lost all the time. Teemu Suninen and Mikko Markkula had been on course for a second successive podium – holding a net third place through yesterday’s closing stage (SS9) before succumbing to the tricky nature of the Sardinian terrain. Contesting this notoriously challenging event for the first time with the top-specification Fiesta, Suninen’s speed defied his inexperience. Ultimately however, he found the limits at the cost of another highly impressive result. Restarting under Rally 2 regulations today, Suninen focused on getting through all the stages unscathed. He had to stop and change a puncture through the first pass of Monte Lerno (SS12), but there is no doubt that the young Finn will have made the most of that experience too – analysing where to gain time on his tyre changes in the future! Elfyn Evans and Daniel Barritt showed promising speed before having to stop and change a broken steering arm mid-stage yesterday morning. They did so impressively quickly, but the time loss handed them the unenviable task of opening the road through the remainder of the rally. Having to carve a clean line through the loose gravel, the pairing had little hope of making an impression on the time sheets and had to focus on delivering a clean run – safeguarding the final manufacturer points on offer tomorrow.